It’s finally here! 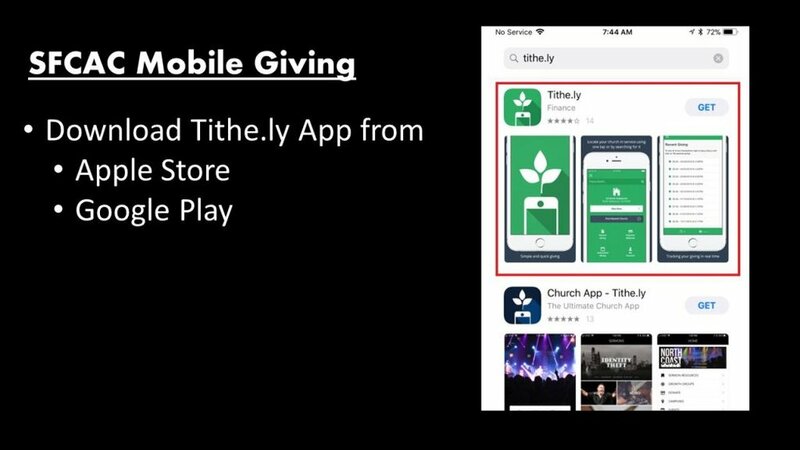 Mobile Giving is now available at SFCAC through the Tithe.ly app. See below for instructions on how to download the app and set up your giving options. You can also pay online through the link in the upper-right hand corner. Newer PostJoin Us For Christmas!